But I’ll also warn you against relying so heavily on your gun! 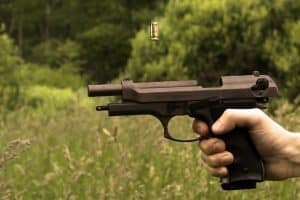 While a firearm might be a great weapon, it isn’t perfect. Guns are loud and could give away your location. Guns are lethal, and you won’t necessarily want to kill everyone who poses a threat to you. 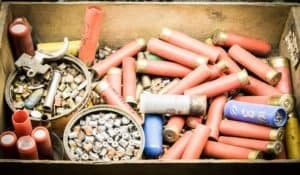 Guns rely on ammo, which could quickly run out. 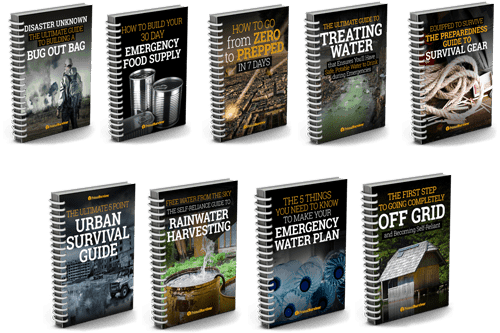 With this in mind, here are some good gun alternatives for urban survival if SHTF! I personally consider this the best gun alternative for urban survival. The reason why pepper spray is such a great weapon is because it requires virtually no skill or strength to use. My wife, who is barely 5 feet tall and very petite, once debilitated an attacker with pepper spray even though he was twice her size. Yes, she is trained in self-defense tactics and might have been able to land a good kick to the groin, but why risk it when she had pepper spray to stop him in his tracks? Like pepper spray, a stun gun is a great weapon because it requires little skill to operate and is non-lethal. The major issue is that you’ve got to be close to your attacker to use it. There are projectile stun guns which give you a bigger range, but then you run the risk of missing the attacker and being left defenseless. A stun gun also isn’t effective if there are multiple attackers. Another issue with stun guns is that they could be destroyed in an EMP attack (which would destroy all electronics). However, if you just need a backup to your gun or live in a bad neighborhood, then a stun gun is worth considering. In pretty much every movie where a knife is used as a weapon, you will see the character wielding a huge Rambo-style knife. These might look intimidating, but it is probably better to get a smaller and less-conspicuous knife. It takes a lot of skill to use a knife as a self-defense weapon. I’d recommend taking a good self-defense course where they teach knife fighting skills. 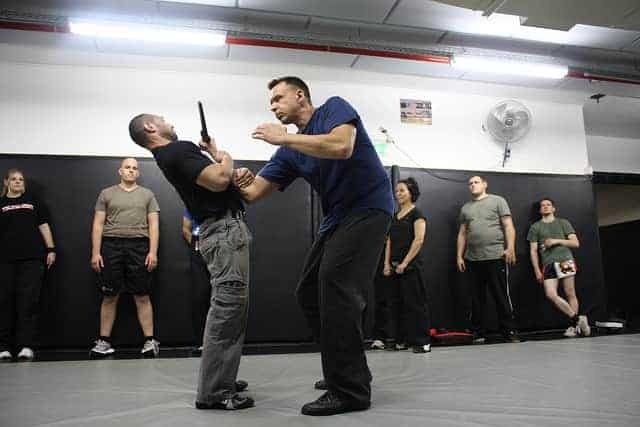 The biggest draw of using a club for self-defense is that it looks scary as hell. An attacker is going to think twice before coming at you if you are wielding a huge, scary club! Of course, this could always backfire too. You might get attacked specifically because you have a club – thus making it seem like you’ve got something worth stealing. If looking intimidating is the goal, then forget about a standard club and opt for a mace instead. It has the same head-bashing leverage of a club but spikes sticking out of the end for maximum damage. I admit that I feel queasy about the idea of using a mace for self-defense. I do NOT want to see someone’s brains splattered all over the pavement! What if my daughter was watching? Would she be able to get over the trauma of that? But, when your very life is at risk, you’ll do what it takes to survive. It is pretty easy to make your own mace. Just get a sturdy board and hammer some long nails into the end. Here are some more DIY survival weapons that are scary as hell. An axe also tops my personal list of best gun alternatives. It isn’t just because axes look intimidating as hell when you carry them around. The reason I like axes is because they are multi-purpose. 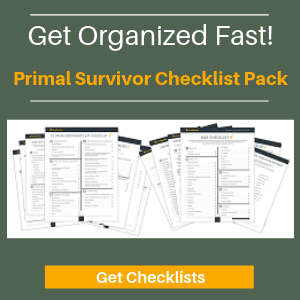 You can use an axe for breaking down doors, building a survival shelter, getting wood for a fire, and much more. If you watch Japanese and Chinese martial arts movies, then you’ve probably seen a chain whip before. 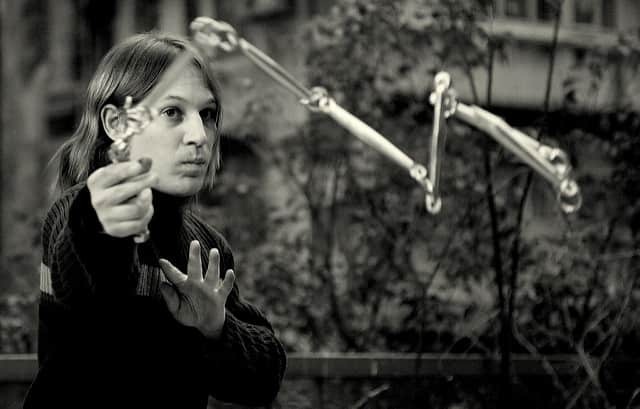 The person will spin the chain whip around them to build up momentum and then flail it out towards the attacker. In some of the really awesome movie scenes, the chain doesn’t just inflict harm from its momentum. It also wraps around the attacker to subdue him. In real life, it is a lot harder than this to use a chain as a weapon. 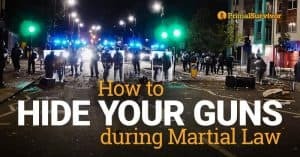 You’ll need a lot of martial arts training. However, if SHTF and you find yourself roaming the city without a weapon, a long piece of chain is better than nothing. You can use it to lash out at attackers from a distance. Or just scare the crap out of them by spinning the chain around. They’ll think twice before attacking you! Finally, don’t underestimate how much damage you can do with your bare hands and a clear head. No weapon will protect you if you react to danger like a deer in headlights. I highly recommend taking a self defense course or practicing self defense tactics like Krav Maga. You’ll get in shape and up your defense level at once. Taking a self defense class is great for building mental toughness! 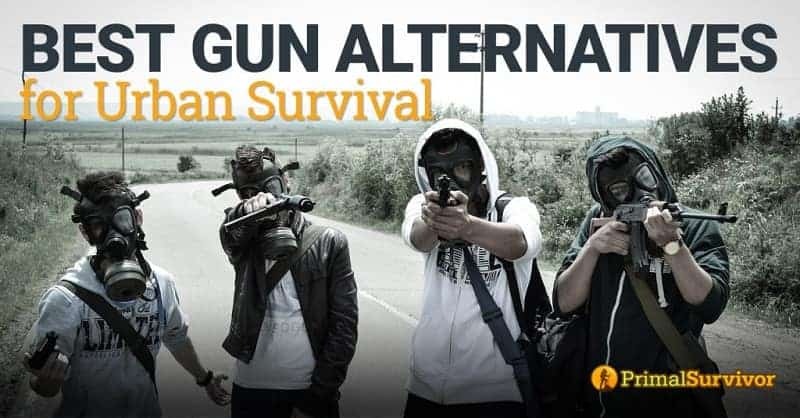 What do you think is the best gun alternative for urban survival? Let us know in the comments or join us in our Facebook community! I’ll stick to my machetes and swords. When a bunch of hoodlums threatened to gang-up on me one fellow gave me the hint of placing a plaster stone or billiard ball into a sock, knotting it properly, and using this makeshift flail for self-defense. Bonus is: It can be thrown, but sane people should realize that means they are without weapon thereafter, and hence it is not too wise, when really threatened by a bunch of craven scum against a solitary citizen. Otherwise: Thanks for the article! Sounds like a bad situation, hope you got out OK.